Not all pizzas are created equal. Over the past decade, the number of pizzerias in Boca Raton has more than tripled and with that shift came an increase in the variety of styles (often identified by a city of origin), the density of the crust, the source of water - all of the above and more. Ultimately, the appeal of any pie depends on the skill of its maker and the quality of the ingredients. Several years ago I wrote an article about the top pizzerias in Boca. As of this writing almost all of them have disappeared for a variety of reasons only to be replaced by such gems as Polao’s of Boca. We discovered Poalo’s quite by accident two years ago as we were taking in the sun and surf on Boca’s magnificent beaches. A surfer handed us a menu and a few hours later we were ordering from that very menu. We were truly impressed with the breadth of the menu offerings. After a grueling day at work, do you really want comfort food, as comforting as that may be, or do you want some uplifting exhilarating treat such as fresh baked pizza loaded with your favorite toppings luxuriating in a savory red sauce and bathed with rivulets of flowing creamy mozzarella? One bite of Chef Paolo Zagarelli’s Vegetable Pizza ($15-$21), enveloped by the aroma of fresh spinach, crunchy broccoli, aromatic onions, mushrooms and green peppers, is a dream only he can create. 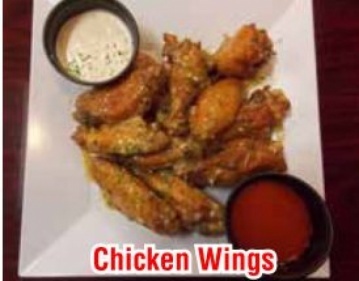 Continue the dream with an order of scrumptious Wings ($9.50) doused with a sensuous Garlic-Parmesan sauce. You can have the wings flavored with other toppings, but there is something magical about Chef Paolo’s blend of garlic and Parmesan cheese. If you are ravenous, select a main from a huge assortment of delectable entrees. Each comes with a magnificent side salad overflowing with lettuce, cuts of ripe tomato, crisp cucumber, fragrant slices of onion and a sprinkling of green olives. With the greens, the house provides a basket of some of the finest Italian bread Boca has to offer. Fried calamari has become a staple at most upscale restaurants, but to truly appreciate the depth of flavor of this seafood favorite, you must try the Chef’s Calamari Marinara ($15.95). Ringlets of the mollusk are sautéed in a thick tomato base adroitly seasoned so as to allow the seafood flavors to come to the fore. Served over al dente pasta, the aromatic tomato-calamari mix is without equal. Who can resist the Veal Sorrentino ($16.95), a combination of fork tender veal and satiny eggplant topped with a mantle of flowing mozzarella? The pasta base is suffused with an exquisite white wine sauce that brings even more joy to the two main ingredients. Who could ask for more?